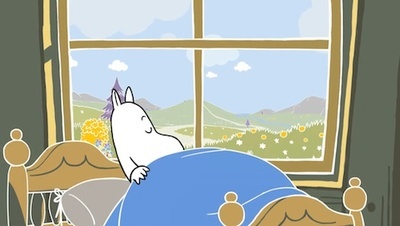 The Moomins have woken up from hibernation, and now sting is here, it is time to grow food and build things to take on adventures through Moominvalley. 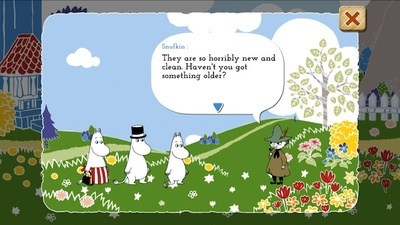 The Moomins do love going on adventures, don't they? 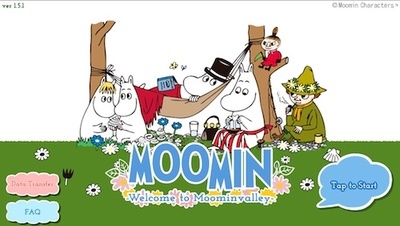 But you know Moominmamma; she'll never go anywhere unprepared, and likes to bring everything including the kitchen sink. So if you want to go on an adventure, first think you'll have to do is brew some coffee, bake some bread, find some essential equipment, etc. 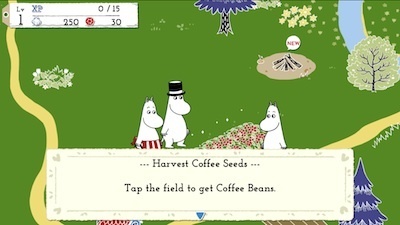 Once you have planted your seeds and waited for them to grow, you can go on an adventure and meet friends like Sniff and Snuffkin. 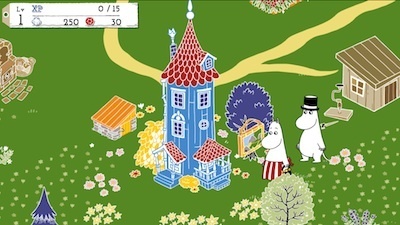 You can build and buy items to make Moominvalley a pretty and fun place to live. Doing this can take a while as it is a simulation game that happens in real time, meaning you need patience for things to grow. 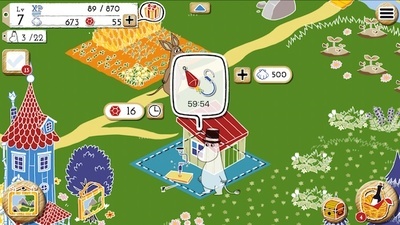 You earn rewards by playing, which can be used to buy other items or speed things along, however, the greater level you achieve, the more difficult it becomes to play properly without spending real money to progress. 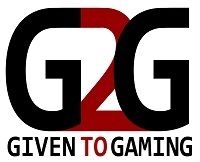 It is a fun game to play on and off for a few minutes, but if you like getting immersed in a game and spend long sessions playing, then you will find it boring as things take too long.